Can we harvest your plot for the food bank? Yesterday was another day of bounty for the food bank. We harvested a lot of lettuce, probably the last for a while. 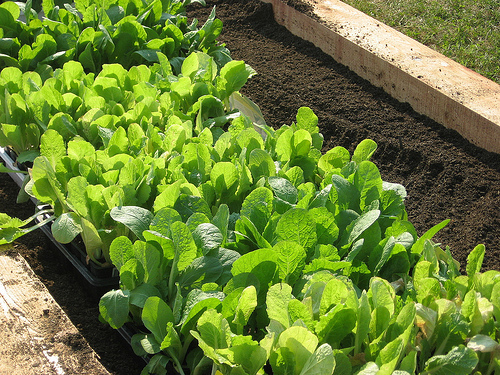 However, there were some plots that had an abundance of beautiful heads of lettuce that were in their prime and may bolt in the next day or so. We chose not to pick them since we did not have permission. If we, the harvesters, see a lot of harvestable produce in a plot, can we pick some and leave some? on what to harvest if you yourself are not able to harvest that produce. Let’s reduce waste of beautiful organic produce. If you have any suggestions to our dilemma, please share. P.S. Use that leaf mold to mulch your gardens and save water. Your plants will thank you for the extra moisture. Next Next post: Attack the Crabgrass!